Port Authority police officers pray during the special Mass. An NYPD honor guard leads the entrance procession. Jose Puello knew he wanted to be a cop from the time he was a young boy. Today, at age 41, Puello can look back at 19 years with the NYPD. And last year, the native New Yorker made lieutenant. Lt. Puello was among the honorees at the first annual Guardian Mass of the Archdiocese of New York and the Diocese of Brooklyn. The noon liturgy was offered Oct. 1 at St. Patrick’s Cathedral. The Mass honored the men and women of New York City agencies, both local and federal, who work to ensure the safety of the people of New York. It commemorated the great sacrifices made by the courageous men and women who gave their lives for the greater good of the city and its people. About 1,500 people, many in uniform, attended the Mass. Puello’s wife is Officer Dennisse Maldonado-Puello, who has been with the NYPD for 13 years. The couple has two sons. Cardinal Dolan served as the principal celebrant and homilist at the Mass. Bishop Nicholas DiMarzio of the Diocese of Brooklyn was the principal concelebrant. Cardinal Dolan, in his homily, spoke about the greatest show of love—willingness to lay down one’s life for another person. He noted the “sacrificial death” of Christ on the cross, and the deaths of law enforcement officers and other emergency workers in the line of duty. 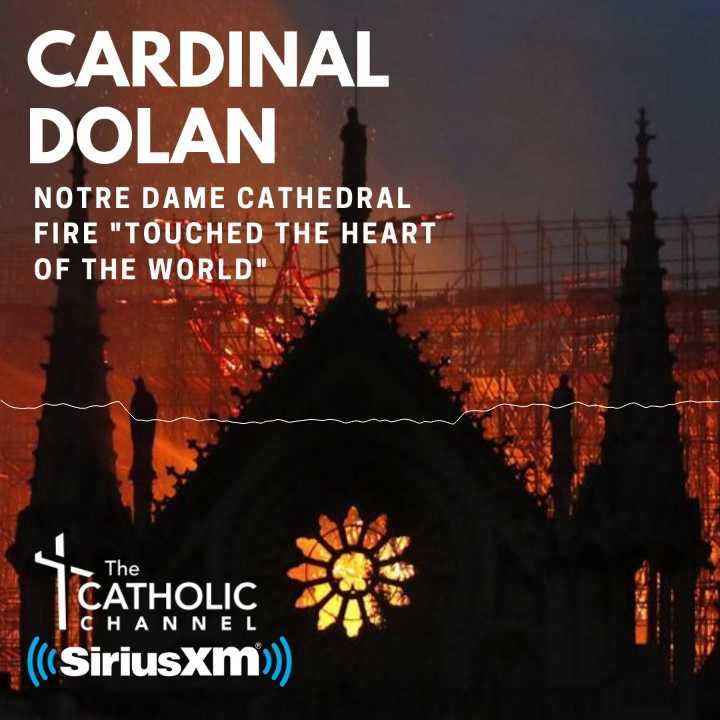 Cardinal Dolan noted that many of the service personnel seated before him would be the first to admit that they are less than perfect when it comes to attendance at Mass or other religious services. The cardinal said that he knows that “deep down you are women and men of faith,” because of the work done despite the danger. The cardinal also mentioned the Feast of the Archangels, Sept. 29, and the Feast of Holy Guardian Angels, Oct. 2. He prayed that those angels watch over law enforcement officers and other emergency workers, as they serve and protect their communities. Concelebrants included chaplains of New York City safety agencies. Msgr. Robert Ritchie, the cathedral’s rector and a concelebrant, praised the dedicated work of the honorees in his welcoming remarks. Local, state and federal law enforcement officials, including the FBI’s William F. Sweeney Jr., assistant director in charge, New York Field Office, also attended. “It was a wonderful Mass. It was a great way to show the protectors of the city and the nation that they are in the thoughts and prayers of the archdiocese,” Sweeney told CNY after Mass. Sweeney said the Mass also sent “a powerful message among us, to remind us all of the partnerships with each other and everything we do together each day.” That sense of partnership has been especially true and important, he said, since the terrorist attacks of Sept. 11, 2001. Other officials in attendance included FDNY Commissioner Daniel A. Nigro; NYPD Commissioner James P. O’Neill; George P. Beach II, superintendent of the New York State Police; Edward Cetnar, superintendent of the New York Port Authority Police Department; and David E. Beach, U.S. Secret Service, special agent in charge, New York Field Office. Also present was Patti Ann McDonald, widow of NYPD Det. Steven McDonald, who was left quadriplegic in 1986 after he was shot while on duty in Central Park. Det. McDonald died at age 59 on Jan. 10, 2017.